Not only do metal roofs look great and last a lifetime, they reduce energy bills too. They’re available in a wide variety of colors and styles and can be applied to residential, commercial or industrial buildings. 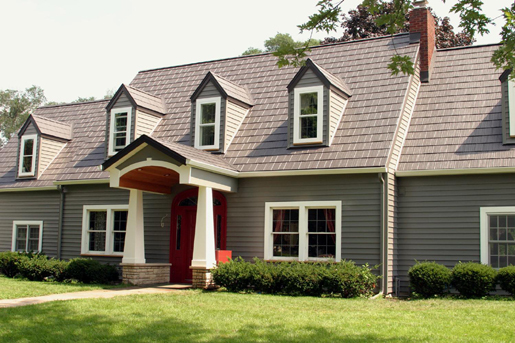 There are metal roofs that mimic the look of cedar shakes, slate and even curved clay tiles. Metal roofing is also available in traditional vertical panels. Plus, until December 31, 2011, pigmented metal roofs installed on existing homes may qualify for a federal tax credit: 10% of the installed cost for qualifying equipment, capped at $500. Find qualified roof products, a dealer/store, and additional special offers on the Energy Star website (under the Roof Products Resources bar on the right hand side of page). I would suggest using WordPress or maybe Blogspot to get started. My suggestion is to choose a topic that you are very interested in. You’ll learn more about it as you research for your posts.